Red Revolution is a semiprecious red quartzite. Among its wide range of veins there are white, black, grey and orange veins which stand out. Admiring this natural stone is like descending the rapids of The Grand Canyon. Its profusion of vertiginous lines pursues and sculpts the vivid red forming audacious bends, curves, peaks and visual depths. 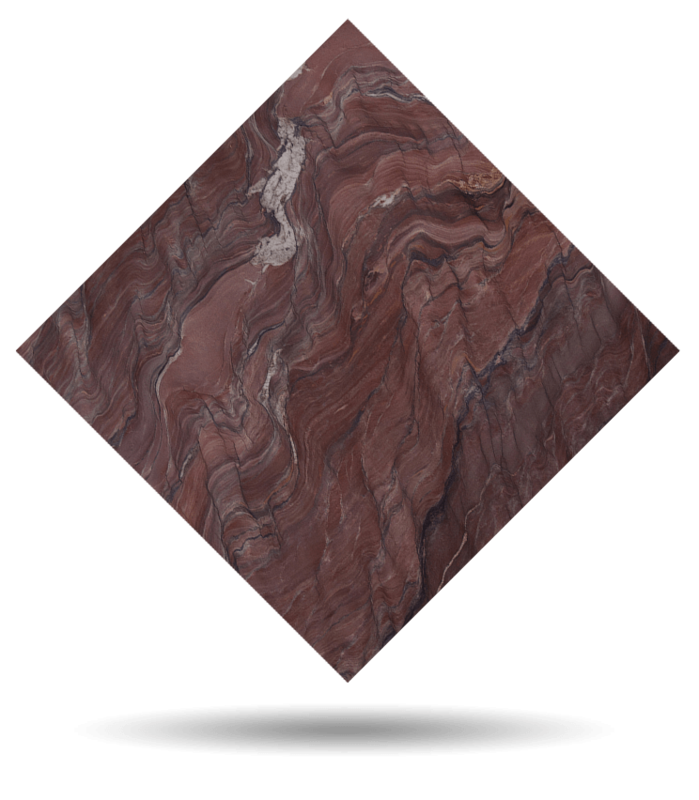 Those architects and interior designers who want to print personality, strength, and vitality in their projects rely on the aesthetics and quality of this wild-looking red quartzite. TINO Collection standard surface finishes are: Polished, Honed, Domus and Sandblasted. TINO offers Red Revolution red quartzite in any formats and finishes desired by the customer. Check maximum size per finish. For other finishes, please check availability and sizes.